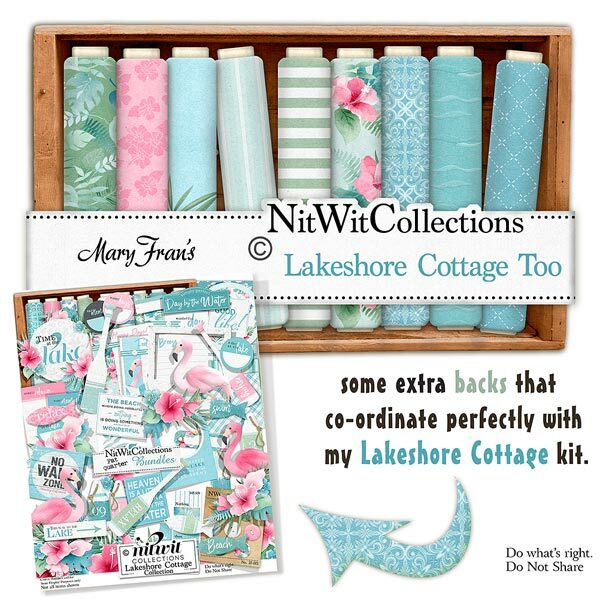 "Lakeshore Cottage" Too will be sure to delight you with the extra background paper choices to create several different scrapbooking layouts, mini album pages and cards with. These background papers are NOT included in the FQB "Lakeshore Cottage" Collection! 16 Digital background papers that coordinate and colour match my FQB "Lakeshore Cottage" Collection.